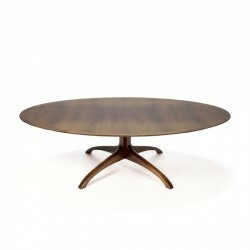 Large vintage coffee table from the sixties made ​​in rosewood. 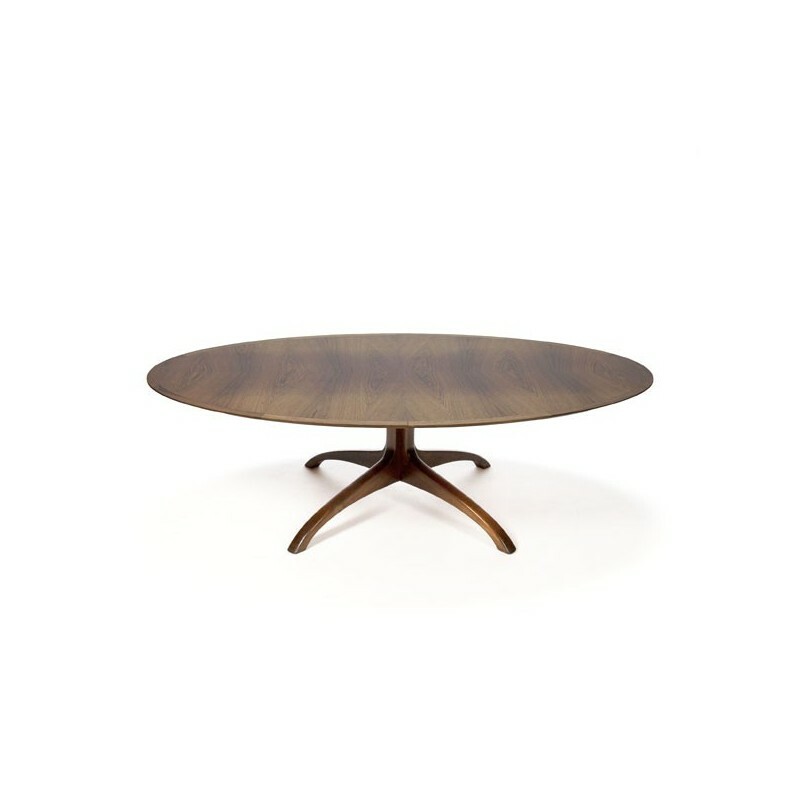 The oval-shaped table has a beautiful top and is standing on a beautiful base. The condition is good considering the age, see the detail photos. The size is 166.3 cm L / 101.3 cm W / 49 cm H.